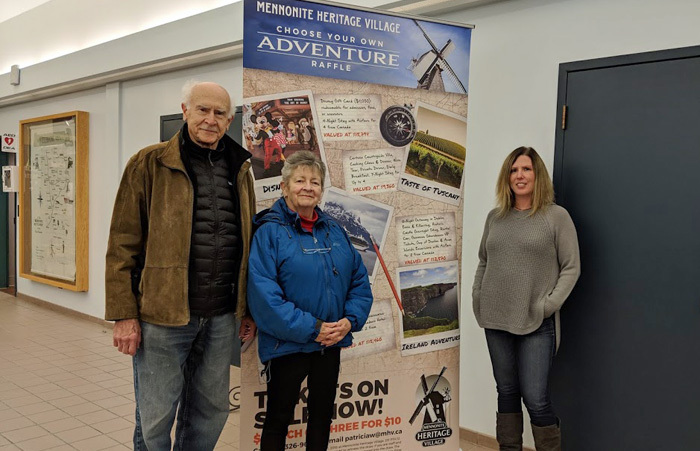 Mennonite Heritage Village (MHV) held the draw for the “Choose Your Own Adventure” raffle on Saturday, December 1st – picking a woman from Ste. Anne, Manitoba as the lucky winner. The Ireland Adventure will include a six night getaway to Dublin, Ennis and Killarney, with an overnight stay in a historic castle, a VIP tour of the Guinness Storehouse, Island excursions to the Gap of Dunloe and Aran – a travel experience valued at $12,750. MHV notes that a new raffle is in the works for 2019. Mennonite Heritage Village is hosting the Choose Your Own Adventure raffle as a fundraising event to be able to continue to preserve and exhibit the history and stories of the Russian Mennonites as well as the history of Steinbach.